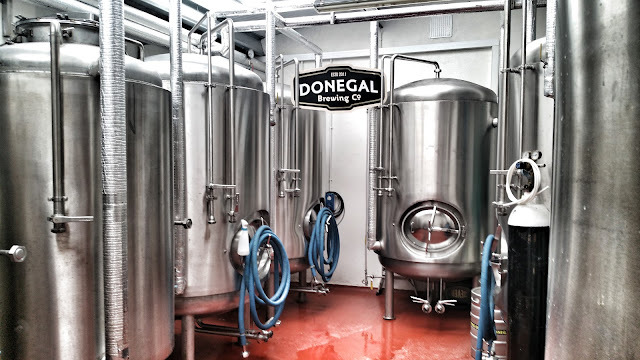 A couple of days after my visit to Kinnegar Brewing, I dropped in to Donegal Brewing Company in Ballyshannon. I had been meaning to visit for years but just never had the chance to get up to Donegal. I made sure Brendan would be there first which is good because the pub would't be open until after 1pm. When I arrived early, the sign on the door said gone brewing so we went off around the town for an hour. 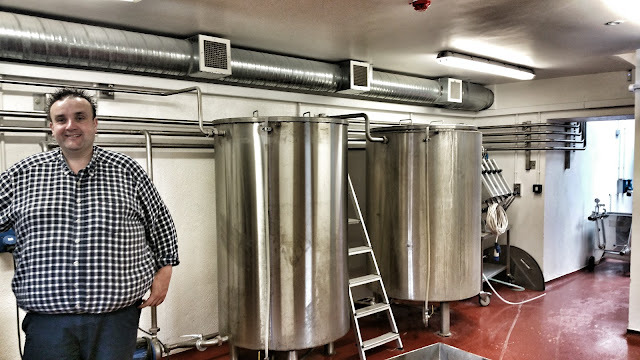 I met up with Brendan then and he showed myself and Pauline around the brewery which is located in a building out in the beer garden. There was no brewing taking place that day though so everything was nice and clean. I thought everything was laid out very nicely. The brewery is compact but there's room to grow a little. There's a thought of putting a larger outdoor fermenter in the beer garden which would make a very interesting feature. The beer garden itself is quite large and well laid out. I expect that a hot sunny day would see it packed but not so at 1:30 on a bank holiday Monday. Brendan gave me a taste of all of their beer which was a rather impressive lineup. 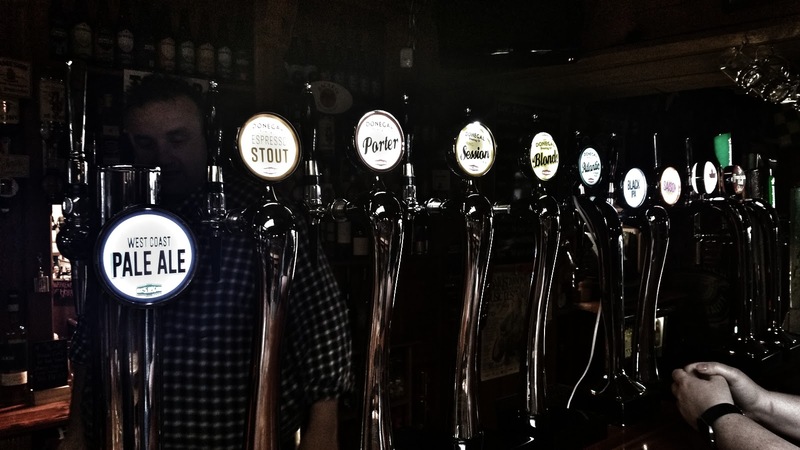 The thing is, we only really see a couple of them in Dublin and I was taken aback to see so many different beers available. Sure, he has some regular macro beer too but it certainly plays second fiddle to the craft beer. West Coast pale ale was a 5% American style pale ale. Somewhat hazy with lemon citrus notes. It was very refreshing with a good hop profile but also nice sweet balance. The Porter was a 4.8%, Slight acidic but refreshing and not heavy. I liked it a lot. Spring Session IPA was a 4.3% session IPA. Perhaps slightly on the higher ABV scale for a session IPA for my liking but it's a lovely, hop forward session beer. A new Belgian Pale Ale was just released and there wasn't even a pump clip for it yet so it resided on the Espresso Stout tap. It's a 5.1%, typical Belgian style ale. Very clean and typical of the style. I found it quite lovely. The 5.1% Black IPA was packed full of liquorice and chocolate with some coffee notes. Lots of citrus hops with perhaps a slight cheese note. It was delicious. The Saison was a simple 5.5% affair. Very crisp and a fair bit of lemon citrus fruits. Also a fair bit of barnyard about it. A Fantastic beer. 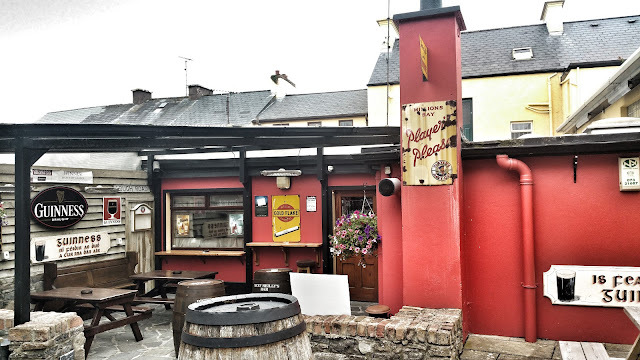 I had also had the Espresso Stout the day before in Donegal town at a wonderful pub called The Olde Castle. It was pretty good as a stout, perhaps lacking somewhat in coffee though. The problem here was that it was on draught and served very cold in the pub. 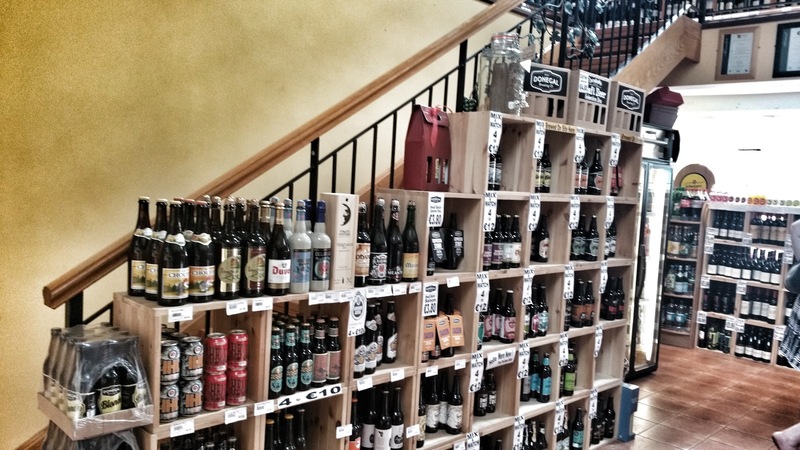 I bought a bottle at the off-licence next door along with a load of other fun stuff. 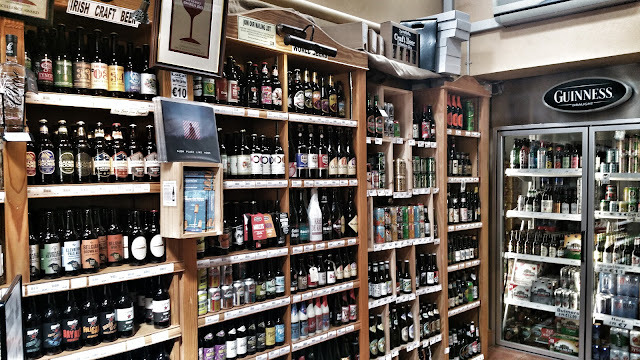 Walking into the Dicey Reilly’s off-licence is a bit like when a boy wizard walks into a wand shop to buy his first wand. 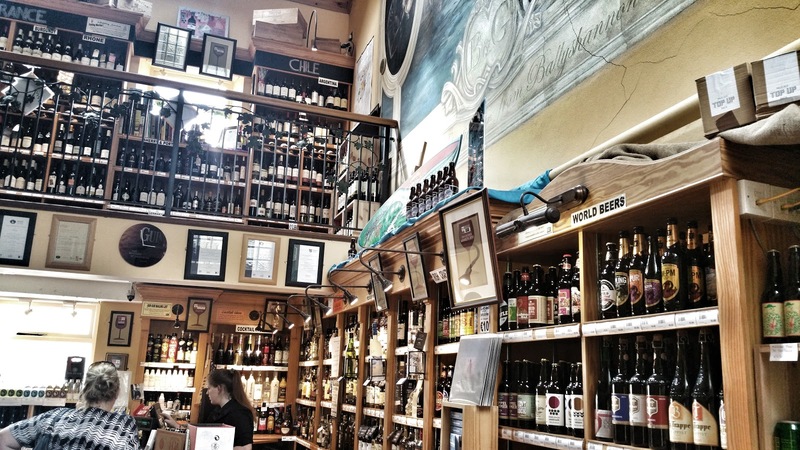 It's packed full of interesting beers and wines from around the world on two levels. Upstairs is a wine lovers paradise and while I do love a good glass of wine from time to time, I chose to stay downstairs with the beer. 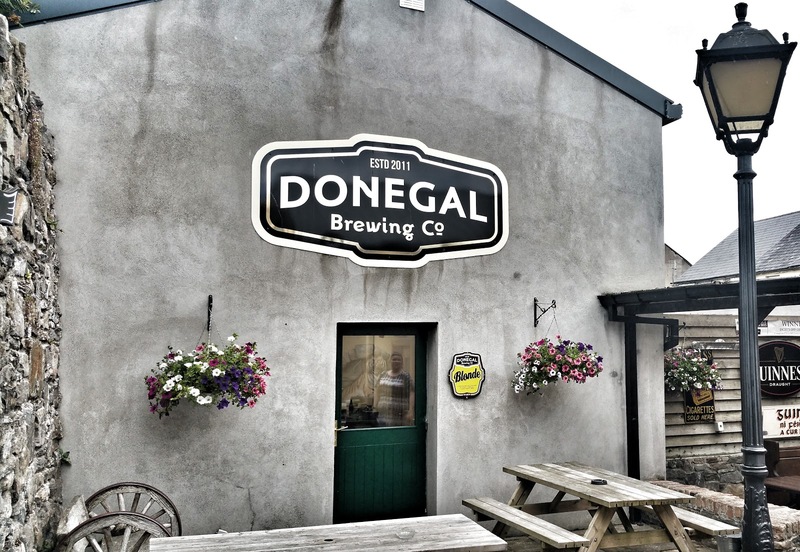 You can buy all of the Donegal beers of course as well as lots of other local beer from the region and beyond. They also have some seriously good special offers. I almost fell over myself when I discovered that Galway Bay's Of Foam and Fury was included in the 4 for €10 offer. I asked twice to be sure and sure enough, they were so yoink. While craft beer dominates, you can of course get your usual stuff too but it's a bit like the reverse of even a few years ago where an off-licence was full of macro stuff and just had a few token offerings of craft beer. 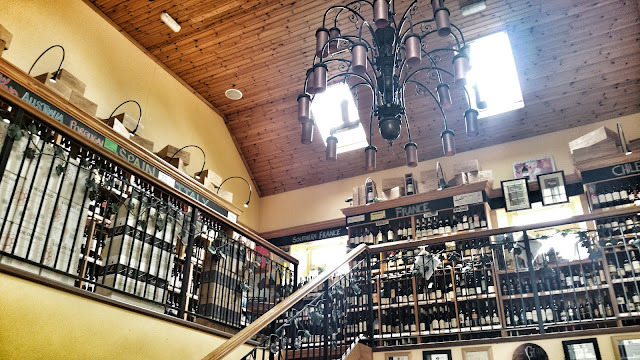 It was a pleasure to visit the pub, off-licence and of course brewery and I can certainly recommend popping in, even if you are just driving past and can't stop for a drink. If you have never been, make an effort. There's even a function room available. How cool would a party in the function room be with all of that good beer available? Tomorrow, I head to Amsterdam for the European Beer Writers Conference so keep an eye on twitter for all of the #EBBC16 tweets. Or block the hashtag if you prefer. As with my first trip to Ireland, loved the country ,people n hospitality, the pubs were great as was every pint ,trip too short !